2018's Hitman 2 may not play too different from the previous game, but refinement to the mechanics and new, fun, absurd scenarios make it worth your time. There is something I’ve always found odd about expectations with video game sequels. 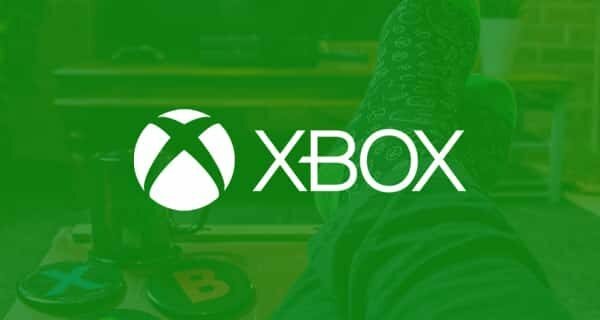 While a number of second installments have significantly evolved over their predecessor, plenty of other games have received cries of them just being the first one, with some newly added content. That is indeed the case for Hitman 2, and to be quite frank and honest, that was exactly what I was looking for. Perhaps this full game could have been repurposed into a “Hitman: Season 2” in some alternate reality where Square Enix didn’t drop the developer and franchise, but as it stands, 2018’s Hitman 2 is an excellent package by itself. 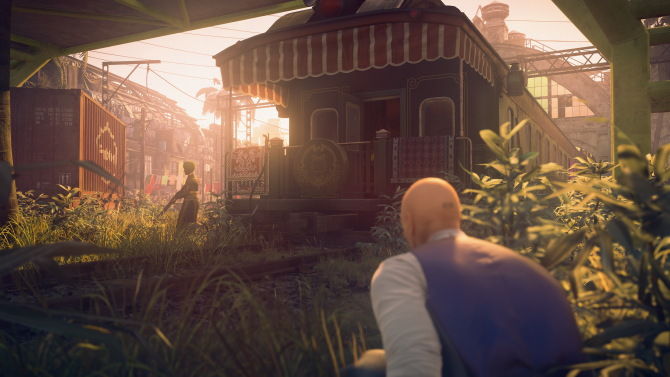 It is a cleaner-looking game than the landmark 2016 Hitman, and the options provided by the game make its replay value higher than most video games I’ve ever played. I’ve always found Hitman to be an extremely watchable experience, with memories going all the way back to watching a high school friend play Hitman: Blood Money on the PlayStation 2. 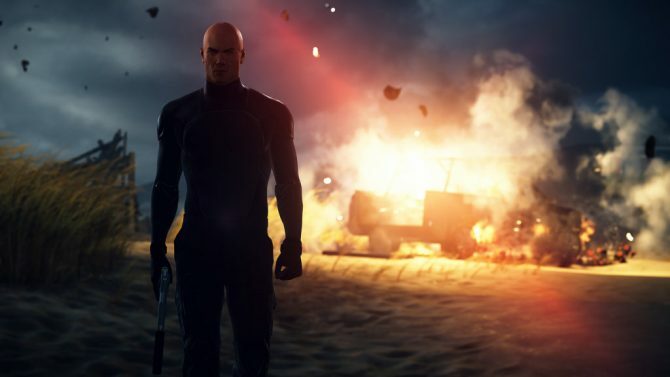 During my time with Hitman 2, I’ve found myself lost in the “world of assassination” that IO Interactive is billing, and as I write this, I am itching to further explore the sandboxes and tools that this game has to offer. Anyone who has played a Hitman game in the past will undoubtedly be familiar with the formula in this new game. Players take the role of Agent 47, a bald dude with a barcode on the back of his head who is a professional assassin and master of disguise. 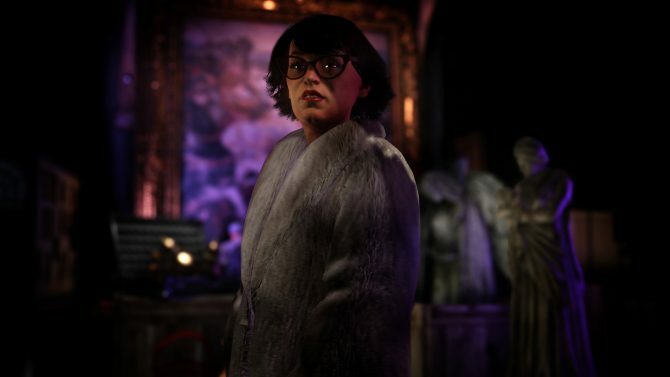 The game will present a challenge to players, with them having to kill one, two, or more targets in a large map, with some possible other tasks and objectives on the way. 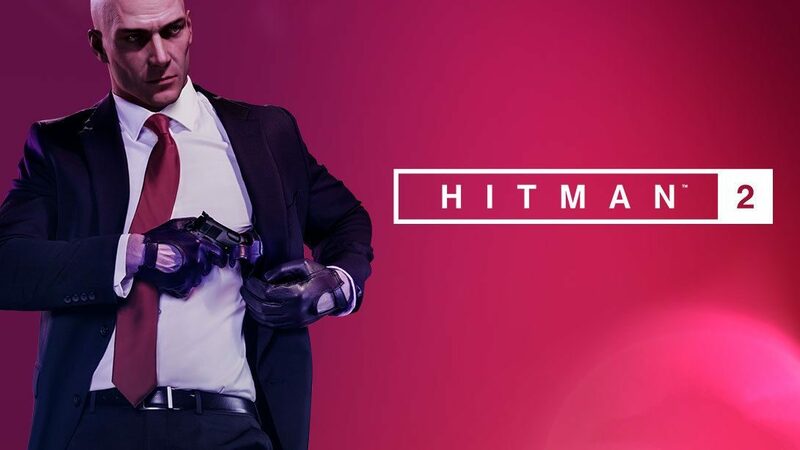 Your iconic weapons include fiber wire and a silenced pistol, with a briefcase item that allows players to stow illegal items making a return in Hitman 2. Like in the 2016 Hitman game, which one can describe as a part-sequel, part-soft reboot, maps are significantly larger than they were in the previous Hitman games, providing players with a large sandbox to play with during their assassination attempts. Players can make use of guns and other tools, ordinary household items like scissors or screwdrivers, or environmental objects like chandeliers to off their targets. Agent 47 can make use of his “intuition” with the right shoulder button, which feels snappier and faster this time around compared to the previous game, with the UI outlining objects and systems to interact with and honing in on key pieces of dialogue from non-playable characters. Some of these characters can inadvertently provide story missions (named “opportunities” in the 2016 game) for players, telling a story or describing a scenario that may give Agent 47 an idea. Perhaps a target is getting a new tattoo, leading the player to look for a tattoo artist to impersonate in order to get close to the target; maybe another target is expecting his male nurse to show up soon, and that nurse just happens to be nearby birdwatching. This is a game that lets you play it in almost any way you want to. By providing so many options, it gave me the urge to go back to these same missions, not only to see what story moments and fun game mechanic possibilities I might have missed from my first go-around, but to see if I was able to conjure up my own Rube Goldberg machines of death together knowing what I know now about the maps. Weirdly enough, despite the seriousness of the game’s story, I just couldn’t stop thinking about the comedy film The Naked Gun: From the Files of the Police Squad! starring Leslie Nielsen while playing, specifically the last act of that movie. Nielsen’s Frank Drebin character had to infiltrate a baseball game to stop an assassination attempt on Queen Elizabeth II, having to disguise himself as an opera singer (delivering a cringe-y, awful rendition of the national anthem) and an incompetent umpire. While playing as Agent 47, I found myself taking multiple odd jobs as a tailor, a groundskeeper, an exterminator, and too many others to count. The funniest moment from my first playthrough was in the Mumbai level, where I disguised myself as an American actor and had to participate in a photo shoot. But it wasn’t just the disguises themselves that I found funny to reminisce on that 1980s parody movie; the experience of playing Hitman 2 can only be described as a comedy of errors. Perhaps in the Mumbai level, someone spots me knocking out the tailor and dressing up in his clothes, meaning that I had to dispatch that witness as well; and naturally, someone else saw me take out that person, causing a chain reaction that results in an absurd pile of bodies. Maybe a mistimed explosive or haphazardly thrown object causes you to miss your mark and having to make a hasty exit, further heightening the comedic effect of the situation. 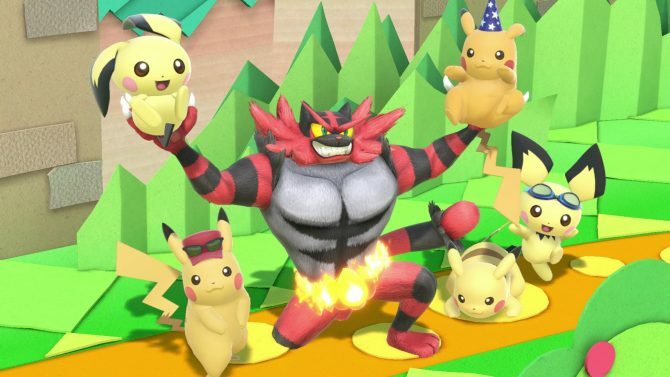 While the 2016 game had plenty of silly moments, I felt that in the sequel’s attempts to emphasize the use of practically anything as a weapon, it gleefully leaned more into the absurdity. The first main mission of the game takes players to Miami at a racecar track stadium, and in the very first moments of that level, I spotted from afar someone dressed in a giant pink flamingo mascot suit. As I described in the latest episode of this site’s podcast Drop In/Drop Out, I instantly knew that I had to be that giant pink flamingo. While my path diverged from my new mark for a bit of time, I inadvertently caught up with my pink friend in the basement next to a soda machine, describing his own personal troubles on the phone. As no one was around me, I knocked him out and donned his mascot outfit, sloppily not even hiding his unconscious body as I was too ecstatic that I had completed my own side-mission (as I found out later, there was a story mission involving that character that I did not follow due to my haste and excitement). Funnily enough, I was able to get past most security checkpoints as the mascot, with guards happily greeting at me and Agent 47 giving a silly pose (without my prompt) in response. It was moments like this that reminded me that Hitman is not supposed to be some run-and-gun action game, but a world that exercises and rewards both patience and the desire to explore every nook and cranny of each level. I am eager to go back to that Miami level, to see what else I could do: could I find myself in funny cutscenes in the flamingo suit, like with that Mumbai photoshoot? How can I rid of my racecar driver target while she is still in the race? But while I enjoyed and thrived in creating my own stories and finding the side stories that the game had to offer, I could not give an explosive rubber duck about the actual, central storyline of the game. To be honest, having finished the story, I couldn’t tell you anything about it. I know it has Agent 47 and her handler Diana Burnwood tracking down some sort of shadow organization, and the story weaves within and between these assassination missions. The story is told mostly through voiceover and “cinematics,” which I put in quotation marks because these cutscenes are more like motion comic books, moving to frame to frame with characters that speak but don’t move. I couldn’t tell if it was an artistic choice or time and technical limitations, but either way, I tuned out every time the story was thrown at me. I always appreciate some modern political intrigue in my games, but Hitman 2 severely lacked in the “intrigue” part for me. At least the mission briefings look cooler than ever. In fact, they’re a good example of how excellent the presentation of Hitman 2 is. The mission briefings aren’t unlike the ones you’d get from a Call of Duty game, featuring flashy and stylistic graphics and maps. Granted, there was nothing subtle about the story elements?for example, with that Miami mission, the racecar driver and her mogul father are described as being complicit in war crimes, so the briefing flashes the words “WAR CRIMES” in giant red letters. There’s a lot of funny in this game, but this was very unintentional. The same great UI from the 2016 game is back, with some subtle improvements. Like the previous game, you are told and shown everything you can interact with, but a neat and subtle picture-in-picture feature informs the player of key events: for example, someone found an unconscious or dead body that you left, or found a gun you hid in a mailbox, or perhaps you’ve been caught on a security camera. 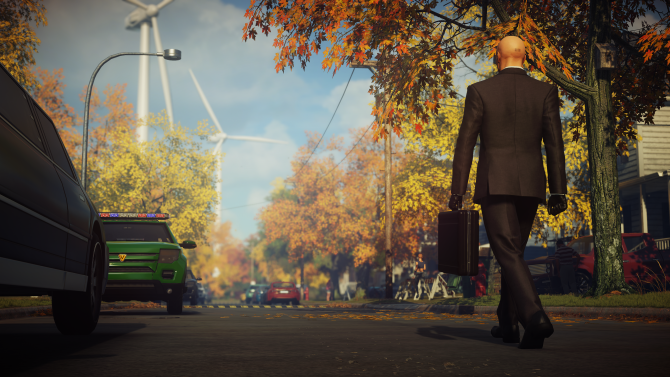 I tried playing the 2016 Hitman and Hitman 2 to see if there was any visual difference, and I was surprised that my ordinary, casual, layperson’s eyes were able to notice that Hitman 2 is indeed a better-looking game. I am reporting as a player with a 1080p display and a regular, non-Pro PlayStation 4, which made that noticeable difference even more shocking. Character models look smoother, the UI looks cleaner with better-sized text and elements, and faces, at least in my opinion, look a lot less creepy. Sure, Hitman 2 hits a lot of the same things that the previous game hit, but there was at least enough work on a technical standpoint to justify this being its own separate game. I can’t imagine this game blowing out any eyesockets as Red Dead Redemption 2 would on an Xbox One X would, but the lighting and diverse environments, which include the aforementioned Miami and Mumbai levels, and levels set in Colombia, suburban Vermont, and a mysterious island hosting a cultish party, all look great. Speaking of that previous Hitman game, it’s worth mentioning that through the magic of DLC, Hitman 2 can literally contain the entirety of Hitman 2016. These “Legacy” missions were provided with the review copy, but any owners of that Hitman game can get those same missions for free in Hitman 2. It was through playing the same mission between both games in which I was able to spot those minute differences, from the helpful new UI to some small, new elements (i.e. tall grass to hide in that were not in the first game). If you somehow missed out on that excellent game, getting Hitman 2 with that DLC will basically allow you to play it basically through transitive property. I don’t have too much to say about the new multiplayer modes, as during review I wasn’t able to get into too many matches online. “Sniper Assassin” was a fun, quicker side activity, with the scenario presented in the base game (I assume more will be added in the future) being a mission to assassinate three members of a former gang during a wedding, with also the requirement of killing all bodyguards. Instead of being on the field, you (either as Agent 47 in singleplayer or two other characters in co-op two-player mode) will sit from a distance with a sniper rifle, getting points for headshots and environmental kills and losing points for getting civilians killed. “Ghost Mode” allows for two players to play the same mission, with the other play appearing as a non-tangible “ghost” as you both compete to get a better version of the kill. I sort of wish that Hitman went in the way of something like Assassin’s Creed Brotherhood, where players have to blend in and assassinate each other, or Spy Party, where one player pretends to be an AI character in a crowd while the other attempts to snipe the right person. I’d like for the crazy hijinx of single player to translate into games I can play with friends, and I expected some more creativity from IO. I’m really eager to delve into this “platform” of Hitman 2 as it evolves. Like the first game, “Elusive Targets” will be made available, with their missions only playable once per player, whether you succeed, fail, or miss it entirely. Even with the existing content, there is so much to extrapolate from. The game encourages players to “master” each level, complete challenges, do all the story missions, and come with new ways to approach these situations. You are rewarded with new starting points, items, and other useful trinkets and perks. Unlike most games that are dense with content, I actually want to take advantage of it all, rather than quickly getting through the story through brute force and never stopping to smell the roses like I do in many open-world games currently on the market. As I write this Hitman 2 review, I am super antsy to finish it up, because I just really, really want to play more.